Wow, sometimes our distributors can come up with some funny stuff! Check out the video they made announcing a promotion in the USA over on the MAC Group blog. Husband and wife photography team Sean and Cathy Cayton of Colorado Springs, Colorado, have a new blog post about the PocketWizard MiniTT1 and the FlexTT5. Stating he usually doesn’t do product reviews, Sean calls the system “my new best friend, seriously.” Looks like this wedding photography team is just beginning to enjoy their entry into the world of PocketWizard. Congrats, and welcome, Catyons! Finnish photographer Marko Saari was profiled on the Profoto blog in April of this year. He was kind enough to share his thoughts on the making of a new series of photos which utilized PocketWizard Plus II units. Here’s what he had to say, along with images and settings. Stylist, singer and make-up professional Cemile Nisametdin had an idea to make photo sessions about the five elements and interaction between five types of energy: tree, fire, earth, metal and water. She was inspired by the beauty of different energies from elements and wanted to collaborate with me to make photos for the “earth” element. The concept was for the photos to be filled with expressive energies from nature and color, but still keep the entire story and settings relatively simple. Shades of brown, yellow and green were most linked to the soil element so we ended up using brown and green seamless background in studio. Green is a balancing color and contains potential energy. It also matches brown because they are colors from nature. The backstory had strong emotions linked to the soil element. ©Marko Saari. Model: Katerina Suokas. Make-up, hair and styling: Cemile Nisametdin. Nikon D300, 50mm lens, 1/200 second, f/9, ISO 200. Profoto Compact 600 R with 5' octa camera left. Profoto AcuteB with white reflective umbrella as fill camera right. Elinchrom style 400FX with grid for background behind model camera right. PocketWizard Plus II and optical sensors for triggering. Katerina Suokas was chosen as model. I have worked with her many times, and with her dancing background and good variation of expressions she was an excellent model for the project. A strong and penetrating gaze in the photos was part of the mood we wanted. ©Marko Saari. Model: Katerina Suokas. Make-up, hair & styling: Cemile Nisametdin. Nikon D300, 50mm lens, 1/200 second, f/10, ISO 200. Profoto Compact 600 R with 5' octa camera left. Profoto AcuteB with white reflective umbrella as fill camera right. Elinchrom style 400FX with grid for background behind model camera right. Elinchrom style 400FX with stripbox for touch of kicker light behind model camera right. Fan camera right. PocketWizard Plus II and optical sensors for triggering. ©Marko Saari. Model: Katerina Suokas. Make-up, hair & styling: Cemile Nisametdin. Nikon D300, 85mm lens, 1/200 second, f/10, ISO 200. Profoto Compact 600 R with 5' octa above & front of camera. Profoto AcuteB with white reflective umbrella as fill below it. Elinchrom style 400FX with grid for background behind model cam right. Elinchrom style 400FX with stripbox behind model camera right. PocketWizard Plus II and optical sensors for triggering. The kimono dates back to at least the fifth century in Eastern cultures. Cemile originates from eastern Tatar culture as well, and that’s why she also wanted to preserve the restrained grace and femininity of the kimono dress. The kimono has a definite style and character. Books on the history of kimonos point out they have their own ethics and can also tell the marital status of the wearer. That’s why the use of a kimono was an essential part of this project. The woman wearing the kimono expresses harmony and natural flexibility. Exclusively a wedding photographer, Star knows her clients are purchasing her services one time only, and much hinges on the relationship she builds with future brides. Being the same age and interested in many of the same things helps establish the bond she seeks with new potential clients. “The more we are alike, the more she’ll value her experience, and therefore her photos,” reasons Star. In October of 2006 she shot her first three weddings. In 2007 Star shot for 38 wedding clients based on word of mouth. Shooting a Canon EOS 5D Mark II as her main body and a series of prime lenses, including a 15mm f/1.2, an EF 24mm f/1.4L II USM, and an EF 85mm f/1.2 II USM. She claims being forced to physically move toward and away from her subjects creates a level of connectivity with her clients which has helped define her style. Seeing herself as a photographer, and not a Photoshop artist, Star tries to achieve her goals in-camera before post-processing work begins. “Just because you can run an image through Lightroom, then process it through Photoshop, then add textures and add saturation, doesn’t mean you should,” she says. “I’m constantly looking for good light and constantly working on my exposures.” She tries to emulate film as much as possible while shooting. Despite calling herself “a natural light photographer,” Star is inevitably in situations where she needs to augment the sun. She mounts a Canon Speedlite 550EX on top of her camera, and uses a custom rig at the bottom of the camera for a PocketWizard Plus II. Star positions an off-camera flash to the side of the dance floor near the band or DJ. She’ll use this configuration, rarely moving the latter strobe throughout the night. “Because of our clientele and the price point we have, most of the time there’s uplighting in the room, and they have pin lighting and extensive setups,” she says, “so I don’t want to bring my flash all the way around the room. I just will keep the flash in one location.” Claiming most of her reception photos are shot on the dance floor, she simply works her way around the light source. f/1.2 1/1600 100 ISO. ©Jasmine Star. PW TV is a video support blog designed to help you get the most out of your PocketWizard radio triggers. Since many don’t enjoy reading manuals to find that one bit of information, we’re creating short videos covering the basics and the advanced capabilities of gear. PW TV is a series of simple in-house videos created to get you the answers you need quickly. The stars of PW TV are our own tech support staff; a group of dedicated individuals who are here to help you find the solutions to your technical challenges. Every so often you come across a photography product worth getting excited about, and it has nothing to do with corporate hype or industry buzz. 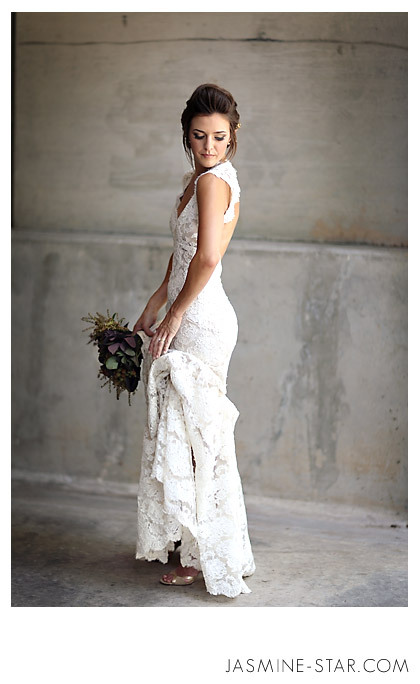 Recently, I had the opportunity to interview PocketWizard user Mary DuPrie, of Mary DuPrie Studios. DuPrie also runs the well-written blog Photographing Models. To date, she’s released three instructional DVDs. This article will deal with one, Photographing Models. In Photographing Models, DuPrie deviates from the norm, and does so in a wildly successful way. 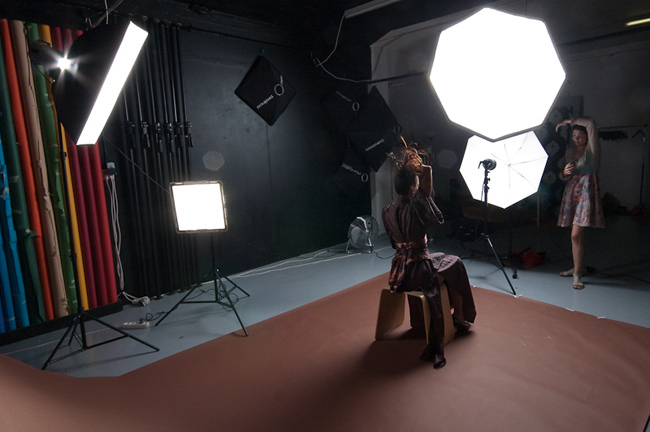 Most instructional products aimed at photographers are about lighting and equipment. They usually miss the most critical thing, and that’s the positioning of models. You can have a gorgeous woman posing in front of your lens, with a team of talented makeup artists and wardrobe stylists at the ready, plus all the lighting and camera equipment in the world, but if your subject doesn’t know how to move, the quality of the photos will be predictably disappointing. Crack all the dumb blonde jokes you want about models, but successful ones who keep working know how to move and pose. Good shots are typically not random, happy accidents. DuPrie stands alone with this DVD. Not only will photographers learn what poses to avoid, but models will be fascinated to see how critical hand placement is, for instance. She demonstrates how to minimize hands, keep them relaxed, and have them add to the mood of a photo, and not, for instance, compete with a face. How many models know hands are such a deal-changer? More importantly, how many photographers know this? Over the course of this DVD, DuPrie does everything to physically detail to Sally, a young hopeful model, the problems with almost every standard pose imaginable, including getting on the floor and demonstrating the right way, versus the drawbacks of the way most models naturally position themselves. Viewers follow along, learning how a head-tilt can hide a bad neck angle, how much to move eyes to avoid too much white area, and how to keep the rear of an upper-arm from bulging out unattractively. This and other critical minutia are not thought of or addressed by many professionals until it becomes time to spend hours in Photoshop fixing them. For any photographer, time is money, and the $80 DuPrie is charging for Photographing Models will be recouped during their first post-viewing shoot. For models, watching this DVD and putting the lessons into practice will mean getting hired repeatedly. The other major content area of this DVD is the sets. DuPrie goes into some detail regarding how she creates, stores, and operates a veritable library of backdrops. Unlike many photography studios, DuPrie’s backdrops are solid and freestanding, not hung cloth. Most of her backdrops are styrofoam, and can be positioned and repositioned as needed. For instance, in one segment, she builds a V out of them, positioning her model directly in them. She typically fastens these backdrops with pins and Velcro: easy and non-permanent ways to transform her studio into a wide variety of looks. DuPrie paints each styrofoam panel herself, although this title does not go into the execution of that. It’s a fascinating and atypical way of creating scenes. Although this is a small part of the DVD, it’s incredibly inspiring, and will prompt photographers to consider working with these materials as a viable alternative to the cliched spattered hanging tarps. Filmed with three cameras, Photographing Models is a professional production. The audio quality is excellent, and the editing does the subject matter justice. Although geared toward photographers interested in getting the most from their time with hired models, models themselves will benefit from understanding which movements and poses are camera-friendly, and which are not. Making no claims this instructional DVD contains lighting information or best camera practices, DuPrie has filled a void in recent photography instructional materials. This is, however, everyday knowledge all photographers will benefit from. Instead of shooting with machine gun rapidity and hoping for attractive accidental poses, many hours and dollars will be saved employing the knowledge offered here. In the future, we will feature our profile of Mary DuPrie, her own photography and techniques, including her use of PocketWizard technology. Product and ordering information found here.